Being a blogger is quite mysterious to those outside of the blogging world. Some may try to figure out How to Start a blog, while other people just don’t get it, think it’s funny, or are generally clueless that people have a real job blogging. Rightly so, it’s a new thing, and there are a lot of misconceptions out there. I thought I’d write up a series of posts all about the secrets of blogging as a business, and share my thoughts and tips in a multi part series. I can’t possibly say it all in one post! If you are thinking of starting a blog, or just curious as to what the big deal with blogging is, then read on. Someone recently asked me, “do you actually make money blogging?” The answer is, “Yes, yes, I do.” I’m going to talk about money, how much I’ve made, how, and when. These are some of the secrets, no one can really know how much money can be made from blogging unless people talk about it! 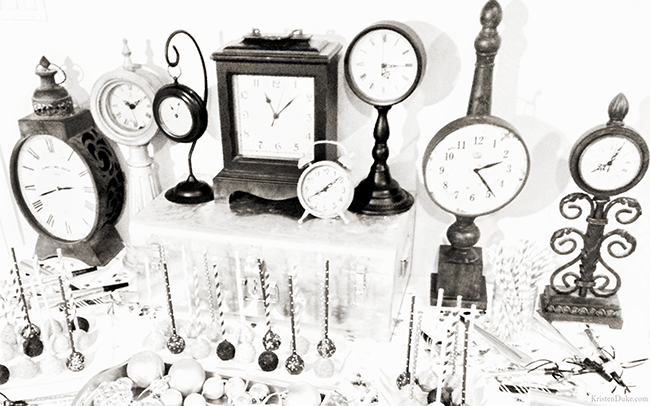 TIME is something that I have had to REALLY monitor with myself. My goal from the day I had children was to be a stay-at-home mom. I want to be present and available in my kids life, to not have my back to them, to look them in the eyes when they are talking to me, to look UP with a SMILE (before they say anything) when they walk up to me typing on the computer. However, I have also always felt passionately that I need to develop my talents, and find something for myself. That’s how this all started, but it can take over and blur those lines all too often. When my kids were younger and not in school, my goal was to mainly do computer time during naps, pre school, or late at night when they were tucked into bed. Now that they are all in school, my goal is to do the bulk of the “work” when they are in school, but to also make trips up to the school as much as possible, because giving my kids THAT is also important to me. I’ve had to set clear boundaries for myself. Do I find myself jumping on the computer after school when they are relaxed watching a show? Yes, sometimes I do. I think that’s ok occasionally, but for ME, I want to be on the couch reading a book when they are home, engaging with them, being present for them, so they know I am available and they are not “interrupting” me. (Of course this adjusts to everyone according to their family, and their needs, I am in no way advocating that this is the only way to do things). Unfortunate and fortunate for me, my husband doesn’t care about TV or sports too much at the end of the day, so spending time with me is high on his list. Do I wish he did have more of a hobby at home so that I could do my “hobby” more? Umm, yes, but I have had to check myself and realize how blessed I am to have a husband that wants to be with me, and though my mental tabs are running on overload, I need to set them to PAUSE and be present for him, too. And in return, he is patient with me, when I sometimes have my laptop out, and we are watching a movie together. I’ve never been able to sit still with just one thing anyway. 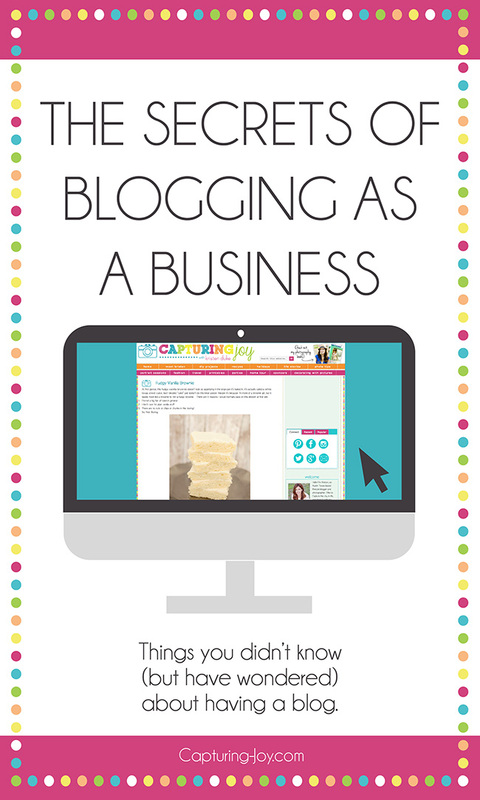 What is important to know about blogging is that it needs to be treated as any small business. It IS a small business. Thinking of a brick & mortar store, you won’t be immediately successful right upon opening, and often don’t start making money much until after the first year. Just like a storefront, you’ll work your rear off for the first year, with few small successes. If you plan to start up a blog business, just knowing that the first year starts that way, is helpful. You have to build an audience, including your social media. With every year of blogging, as I’ve grown, I’ve made more and more money. But it seems to get to a point where it evens out a bit, and you have to find new and creative ways to sustain what you’ve built. I don’t feel like I am business savvy at all. I struggled in school. I did get my Bachelor’s degree, that I’m so grateful for, but I never thought I’d have my own business, and now I’ve had several! Someone recently called me an entreprenuer and it took me aback. I’d never considered that before, but running this site is a bit of that. I’m learning and discovering things that I NEVER would have thought I would have done back in those days as an average B student. I started as a photographer (this site is still KristenDukePhotography.com), and originally shared mostly photo tips and recent sessions. After a while, I realized that I just love so much more than photography. When I re-branded nearly 3 years ago, I wanted this little spot to be all about Capturing Joy in all aspects of life (family pictures, recipes, DIY home projects, parties, printable gift ideas). I “snap” pictures in my head, and even take lots of pictures to preserve that JOY for myself and my family, and now with anyone else who finds themselves here. I want to spread that joy to others who come, whomever they may be. Some will say that to be successful in your blog, to find a NICHE that you love and go with it. But I say, “don’t niche me in!” I love too many things, and though I could have been more successful as a “photography blogger” I just didn’t find love in only sharing photography tips, I love so much more than that! I’ve actually had people emailing me telling me that they are going to stop following because I don’t share as many photo tips, and to them I say, “so sorry, will miss you.” I first have to be true to myself. If you don’t love what you are blogging about, it will show. Even with this post, I’ve been thinking of it for MONTHS, and though it’s a lot to type out, I have been so excited to share MY take on the blogging world, and to share some things that may not be discussed as much, but to also share in MY voice MY experiences. By the way, I generally don’t LOVE sharing that I am a “blogger” because people don’t really know what that means (and kinda laugh at it). I often say I “run a family website” but amongst bloggers, and to brands, we are known as INFLUENCERS, publishers, and content creators. It’s all about CONTENT, and your spin on anything with your voice. It sounds funny to say that to people “out of the industry” because it kinda sounds haughty, but in all reality, I have the ability to influence, and brands are noticing that more and more, and giving money to bloggers instead of for TV commercials. Before I wrote Say No to Auto, there was already a million photography books explaining how to shoot in auto, and blog posts. However, I’ve had so many people email or tell me in person that the way I explained the process to them made so much more sense than any college professor or book could ever relay. It made me so happy to hear that even though I originally struggled to understand the concepts myself, that I could share SIMPLICITY to others out there also wanting to learn, because that’s how my brain works–simple. So YOUR spin on vanilla cupcakes may be just what people need. It doesn’t have to be a mind blowing, new concept, it just has to be how YOU do things, because that is what will resonate with others. I was SOOOO intimidated by the process of building and starting my own website. I bought my domain, and have since bought two others. You can get to my site from it’s actual source: KristenDukePhotography.com, but also from Capturing-Joy.com and KristenDuke.com The latter two just redirect to the main site. I have been watermarking my images with Capturing-Joy.com as that is the “brand” I am trying to create in the inter web. 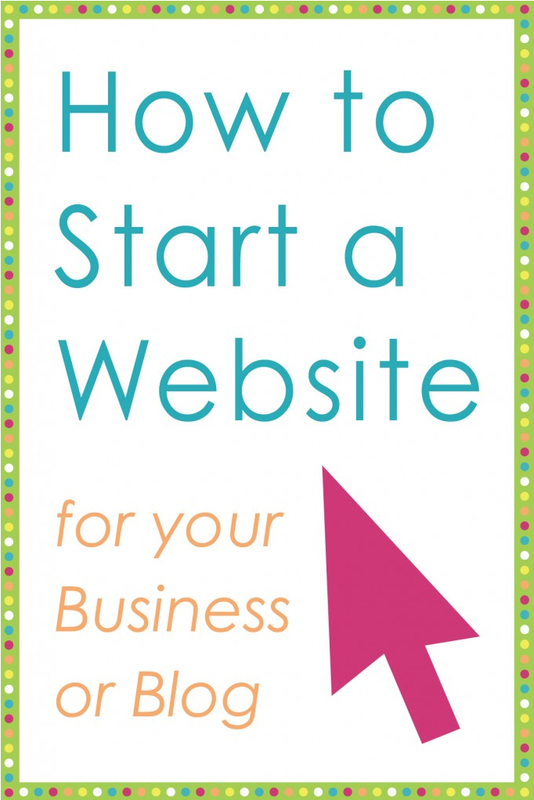 I wrote all about how to start a website for your business, and why I love Blue Host in an exhaustive post, so read all about that by clicking on the box below. I’ve had a handful of different logo’s and color scheme’s, but this one has lasted the longest. BRIGHT and HAPPY are what I love. If you come to my site via a link from Pinterest, or Google, you are taken to a direct post, and my hope is that people will see something on my sidebar, and want to click over to view other things. So I tried to make the best use of my sidebar, to catch some other glances. Some bloggers minimize this space with just a few boxes, and just have text links at the top of their site, but I’m a visual person. If I don’t see a great picture of something interesting, I’m definitely not going to click around. I try my best to keep it cohesive and uncluttered, but it may appear to be too much to others. Recently, I shared my #1 blogging tip with a new blogger, and that was to find a group of similar sized bloggers, and cross promote each other. Some people call it a “tribe” but in the business world, it’s referred to as simply networking. Help each other out, share each others links, promote each other. There is no better way to find that group, than to attend blog conferences (see mine here). They are all over the country, all throughout the year. Find something that is in your general niche, and invest in it! It’s often the cost of a plane ticket, hotel, and conference pass, but it is a very worthy investment to your business. Sometimes you can get sponsored by companies if you promise to promote them, and it’s also a tax write off as a business expense, so just do it! 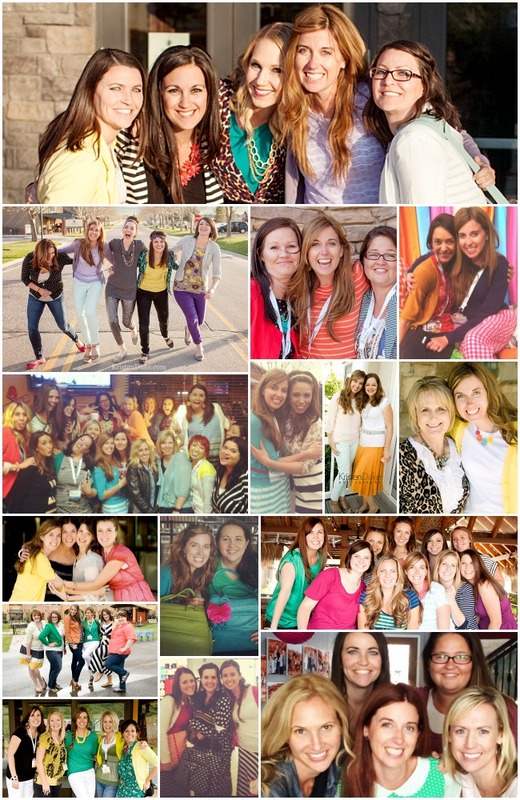 Here is a snippet of the dear ladies I’ve met at the conferences I’ve gone to. Some I “knew” before online, some I became familiar with their sites while there, but all of them I consider friends. Most of these ladies, I interact with in some way or another on a weekly basis, as we share each others’ content. Make a private Facebook group. Once the group is set up, you can decide how you will share each others content, but a daily link drop is an idea, where each morning you all drop a link, with a promise to share on social media, each others content by the end of the day. The next day, same thing. You share one link, and your link gets shared 7-10 times by different people. Some groups we drop daily, other groups we drop weekly. Create a google document spreadsheet to share links. Everyone drops 10 Pinterest pins, with a promise to RE pin all of them by a certain date, usually 2-3 weeks at your leisure. ~~~~~~~~~~~~~This is the end of Part I! (Part II posts later today) Please leave questions below, in case I didn’t explain something well enough! Also feel free to elaborate on any of the topics above (bloggers) to help others out that may be reading this in the future.